If you’re ever wondered what kind of salt it takes to move the needle for multi-family passive house projects, look no further than the story of architect and developer Hank Keating. We all have under utilized power in our professional roles. Join Kristof for a discussion with Hank about the work he’s done in Massachusetts to make way for passive house buildings - from codes, to renter occupants, to design - this episode’s got it all. Mr Keating is a registered architect with more than 30 years of experience in the design and construction of multifamily affordable housing projects. Recently retired from Trinity Financial, (but consulting back on select projects) Mr Keating completed over nine affordable housing developments totaling over 1500 units in Massachusetts, Rhode Island, Connecticut and New York City while at Trinity. For the last 10 years Mr Keating has been engaged with the Passive House movement and designed and completed a passive house for himself while pushing to move Trinity’s large scale affordable projects toward the Passive House Standards. He managed the Bristol Commons / Lenox Green project in Taunton which created 160 affordable units built to near the passive house standard– 4 years of data tracking demonstrates that the project is using 80% less heating energy that comparable LEED GOLD projects in Massachusetts. Since retiring, he has been consulting with Trinity during the design of 425 Grand Concourse, a 26 story, 270 unit, affordable passive house project in NYC. 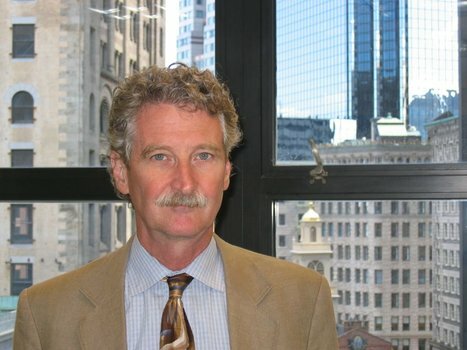 Mr Keating is currently on the Passive House Massachusetts Board of Directors and has been leading the efforts of its Public Policy Committee to get passive house incentives included in the upcoming EEAC Three-Year Plan for utility company incentive programs. In addition, he is on the MassCEC Passive House Challenge Selection Committee and has been working with DHCD to encourage the addition of QAP bonus points for passive house projects. “This unique home’s smart and solar bells and whistles reduce its ecological footprint even more. Passive House Massachusetts is a member-based non-profit organization that promotes a healthy and comfortable built environment that significantly reduces energy consumption and lowers carbon emissions by utilizing the Passive House building standard and other high-performance building strategies, focusing on education, training, outreach, and advocacy. We regularly host meetings, trainings, tours, and other events related to Passive House design and construction and serve as a hub of knowledge for high-performance design in the state and region. PHMA members include designers, builders, engineers, policy makers, students, community leaders, and all those interested in high-performance, energy efficient buildings. From regular member meetings and educational programming to tours and special events, there are plenty of way for members to become involved and membership support is essential to our work promoting and expanding the use of Passive House and high-performance building.